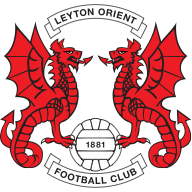 Highlights of Leyton Orient's game with Newport in Sky Bet League Two. Jay Simpson scored his 22nd goal of the season to give Leyton Orient a 1-0 win over Newport County, giving new boss Kevin Nolan a perfect record after two games. The goal came in the 84th minute when player/manager Nolan crossed into the box where Jobi McAnuff was fouled allowing Simpson to step up and convert. The visitors had battled throughout and could consider themselves unfortunate to have left London empty-handed although there were few chances created by either side. Simpson had come closest to breaking the deadlock two minutes into the second half when he curled a shot from 25 yards narrowly round the post while at the opposite end, Conor Wilkinson's powerful drive cleared the crossbar by inches. Chances were few and far between in the opening period. 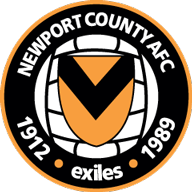 Despite a high-tempo approach, the home side managed just two threats on the visitors goal and it took 28 minutes before either keeper was extended when the league's leading scorer Simpson saw his effort parried to safety by County shot-stopper Mitchell Beeney. Then Calaum Jahraldo-Martin saw his shot just clear the crossbar but Simpson had the last word.